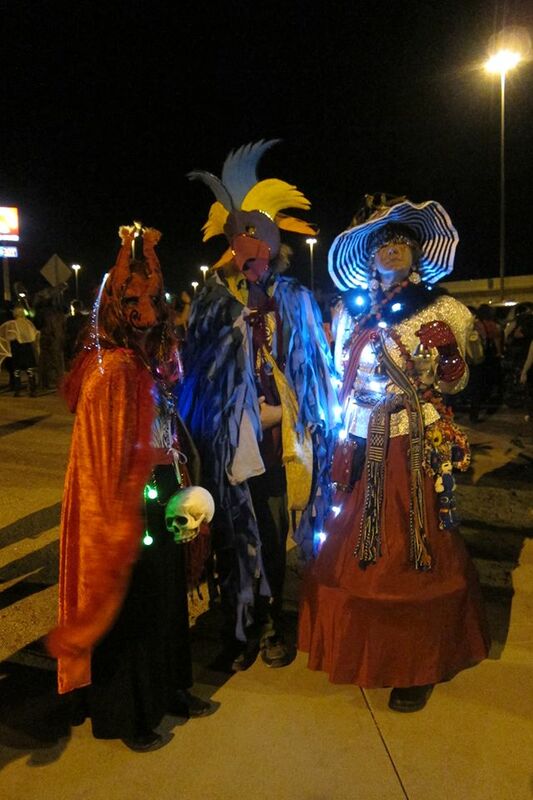 2013 marked the 7th time I walked in the All Souls Procession in Tucson, Arizona. Each year I get more out of it. It is a fantastic group experience, and yet each single person (of the many thousands of participants) had a very personal, and often, spiritual experience. This year marked a change in my participation. I felt called by my ancestors so I listened. 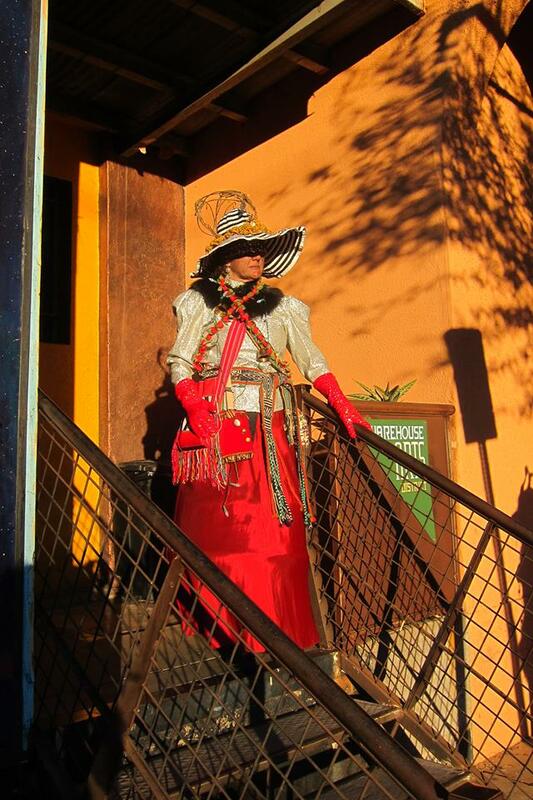 I did not wear a costume for fun or in the prescribed attire of the meaningful theme (Dia de los Muertos). Instead, for the month before the procession I gathered clothing and regalia items that wanted to be worn during this powerful public ceremony. 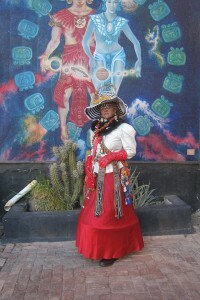 By doing this I gathered Power into them so they can assist me in my shamanic practice. Each piece was found in a thrift store over the last few years (a practice that has always been divination and spiritual hunting for me), or assembled by me. Every one of them had been sitting in my house, waiting to be worn, appreciated, and infused with my energy. 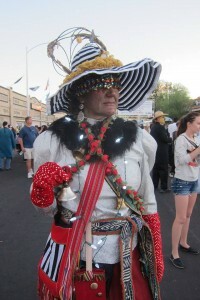 Some examples are- a cloth yarn doll, a woven belt, a red cloth bag made by the Lahu people of the highlands of Thailand, a cloth sash with many bells and meaningful items sown to it, a teacher’s bell, and a headpiece made out of desert claws with important metal items hanging from it. The headpiece I wore in 2011 in a shamanic performance called “Cracking Open”. Each item alone is beautiful, together they gather Power for healing. In my shamanic practice I am called Oolah (One Who Balances) by my spirit guides. I work with humans and spirits in the human and spirit worlds. I travel in my mind to see, hear and sense what is most helpful. I return and share stories that can be helpful tp people are in need of soul restoration. The time of year that includes Halloween, Hallowmas, Dia de los Muertos and All Souls Day (which I have combined into “Hallow Souls Week”) all mark the time when the veil is thinnest between the worlds, and when the ancestors are said to be closer to us. 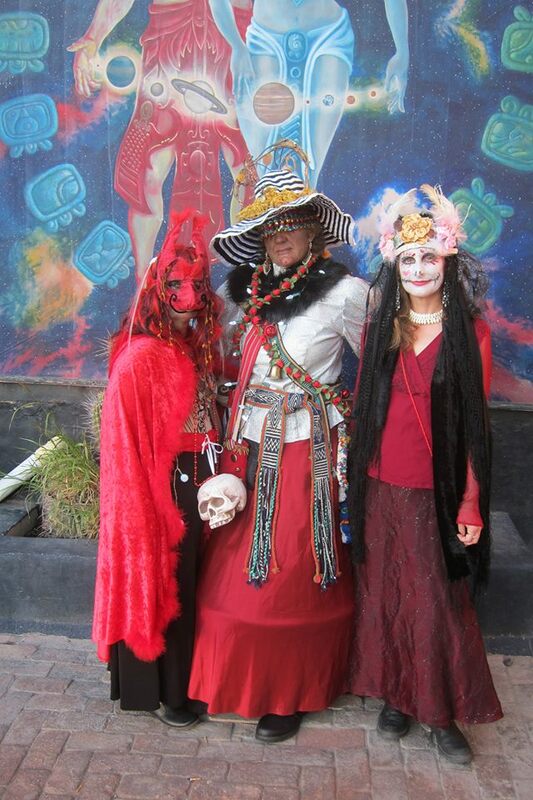 This time, and specifically the large public ceremony called All Souls Procession, was a wonderful opportunity to strengthen my relations with my ancestors, dress for them, and ask them to infuse me and my items with their Power, through the energy of the community of thousands. I feel that I exactly brought forth the energy that was wanted of me, and that my ancestors are satisfied. I felt like “Me” and yet not me. 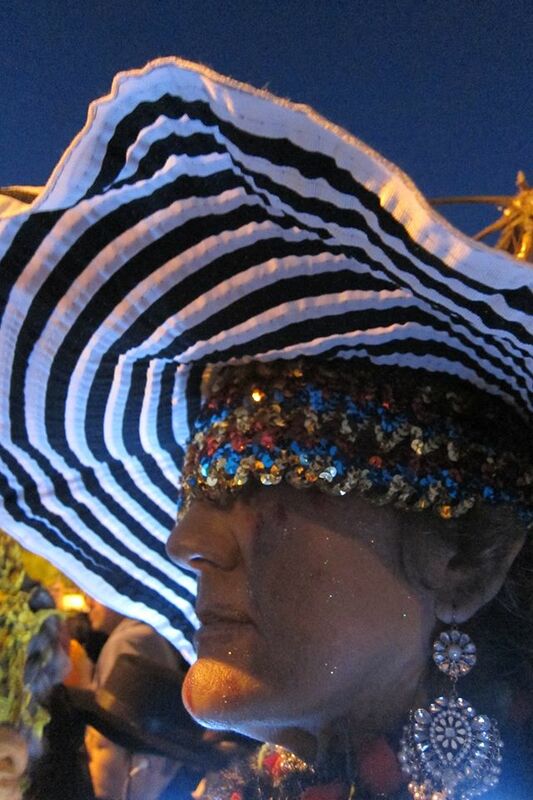 I looked through a sequin eye cover and saw the people around me differently. My view shimmered and I was veiled, but the veil was thin. What struck me as fascinating was how many people wanted to take photographs of me and my fabulous companions. Thank you to all the humans and spirits who help the All Souls Procession continue year to year. I was happy to offer a contribution to this amazing event. I hope all who participate do as well.